I am going to be honest, there were times I wasn’t sure we would make it through and still be together in the end. But there were also times when I was flying high on love for days. 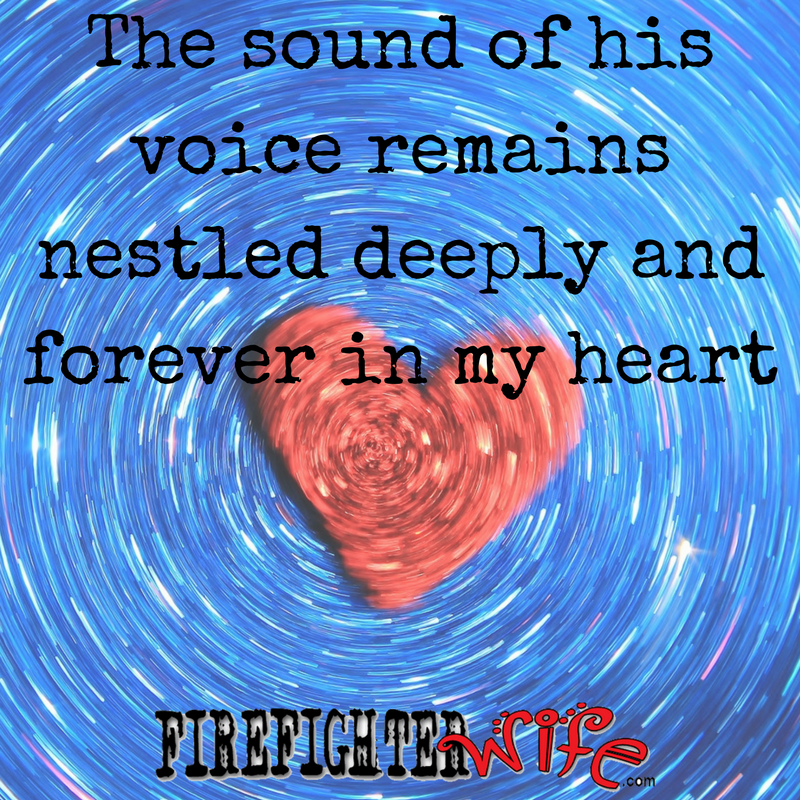 I am talking about loving a firefighter when there is no other choice but to be apart from each other. Or at least…..long time away love…..because maybe they’re only 30 – 45 minutes away but FOREVER gone! But in my case, we went through a season of distance. Like many wildland fire wives, contractor fire wives or those who are doing the job transfer thing may experience. As if there aren’t enough obstacles we deal with as fire wives, the distance brings more you might not expect. I was ignorant enough to think that after knowing each other for 15 years we would sail through a year and a half of long distance love. Now I realize we should have been more prepared, and those days we were able to spend together are some of my sweetest memories. We had an end goal in sight, which always helps to make it through those seasons but doesn’t make the lonely days go by any faster. Time zones can make communicating even harder than it already is in the fire life, but it might just work in your favor. Insecurities can pop up. Lack of intimacy can happen because you miss being physically close at times. Being a single parent for days, weeks, or even months on end can wear you down. You may face so many new obstacles. There are times when all you want to do is talk to each other, but you are out of words because what you really want is to just be right next to them. You might find yourselves sitting for long silences on the phone because you are all talked out. You have expressed your love in every way possible to each other verbally, and you have talked about every new thing that has happened. What can you do when you aren’t ready to let go of the connection you have on the phone? We read a book together. The sound of his resonating deep voice has nestled itself deeply and forever in my heart from doing this. Being apart is a tough season. You have the strength and love to get through it. We all have times in our lives when we need to know there are people behind us in whatever it is we are facing. A support system makes all the difference during certain seasons of your life, and this certainly is one of those times. Whether it is having family close by or friends who are far away and always available to talk, having your “people” during your time apart can make a big difference. You aren’t alone. My mom used to take me for a hike or have me over for dinner. And when I felt the silence suffocating me, I invited myself over because it helped distract me. Close friends will invite you to tag along with them, won’t mind when you say no, and are always willing to babysit or help in any way they can. Most importantly, these people will understand when you disappear from life when you are with your firefighter. Or when you drop everything for that one phone call, no matter what time. But even having these wonderful people in your life may not always ease the sorrow of the empty space beside you at night, sitting in the church pew without your husband, being solo around other couples, or fill the void of kisses and hugs from your firefighter. And that is ok because they aren’t supposed to fill that place. You can find ways to be close without physically being close. 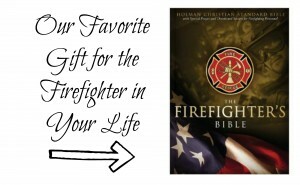 From fire shirts, to coffee mugs, to personalized photo books, to cycling accessories, I would send my firefighter small gifts that reminded me of him in my day-to-day life. Just to remind him I was always thinking of him, because he felt the distance too. Loving texts and emails can be a way to communicate your feelings and passion for each other. I saved every one and used to read them over and over when I felt sad. And it did help when I was feeling insecure about his life away without me. Yes, most of the time I was completely confident in our love. 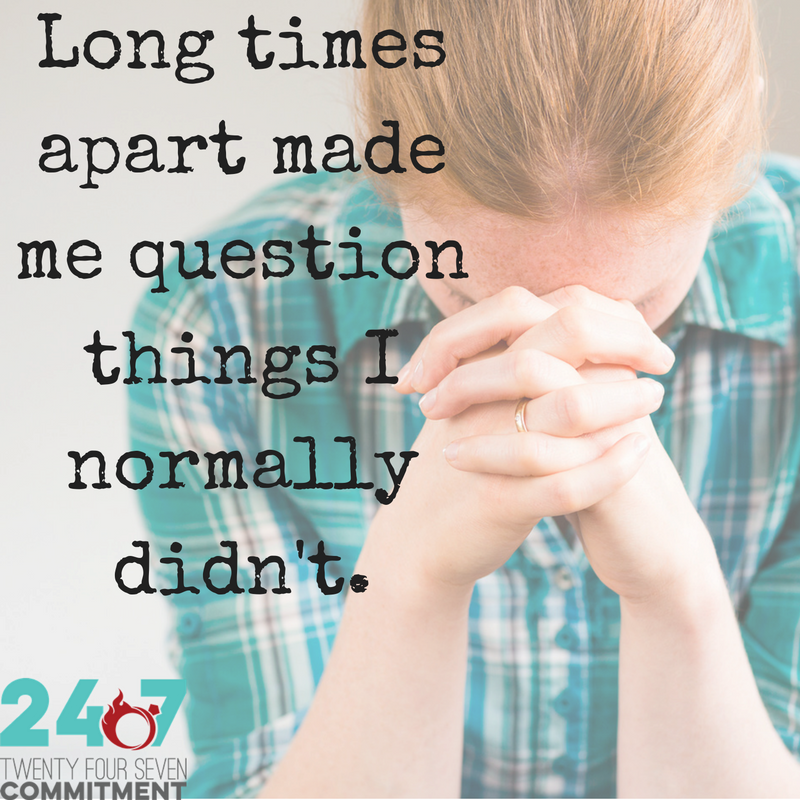 But long times apart made me question things I normally didn’t. Honesty about this is huge! HUGE. By being honest with each other about our insecurities and vulnerabilities, we grew even closer and more able to support each other through those emotions. Love can conquer all. And it did. We made it through our times apart bonded stronger than before. We look back on those times as some of the sweetest of our lives. The feelings of frustration and loneliness have long since faded. Take the long distance season as an opportunity to grow closer, explore new ways to be intimate, and reignite the passion you felt when you first fell in love. Because that feeling is like nothing else in the world. You can grow closer together when you are apart. I once heard someone say distance can either diminish a weak love or make a great love greater. The way the same wind can blow out a candle or blow up a bonfire. 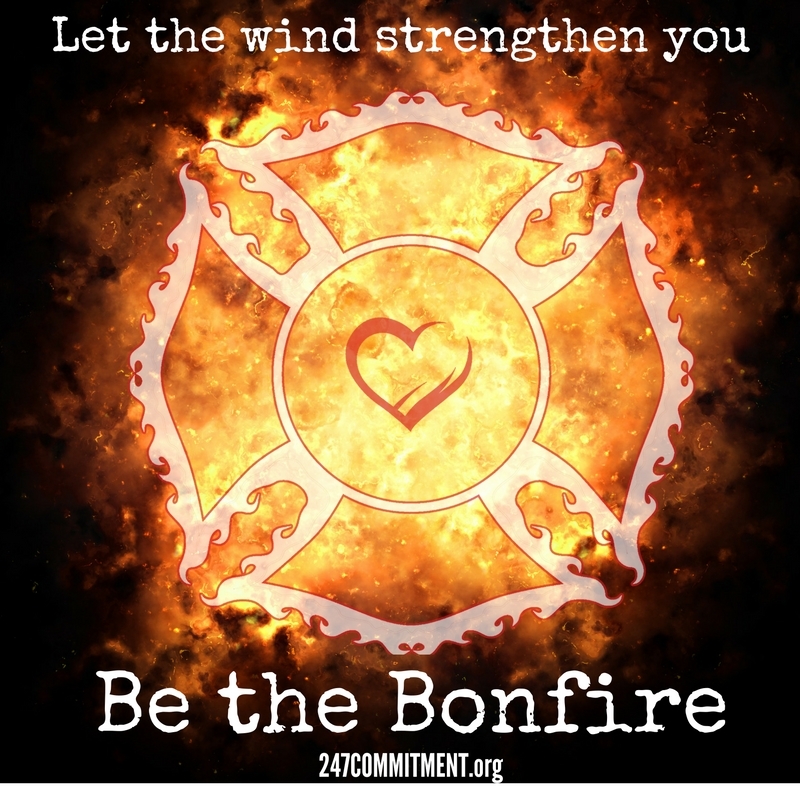 Be the bonfire. It may seem obvious but when you are in the middle of that season, it helps to read these lists of reminders for how to get through it. Here are my best recommendations. I hope they inspire you. Read a book aloud to each other over the phone. We literally conquered “East of Eden” over a year on the phone. Have him leave behind a fire shirt sprayed with his cologne, if he wears any. Snuggling up to this or wearing it at night can be a big comfort. Give each other something special you can keep with you always. For me it was a necklace he got when he graduated academy. Not only do I still wear it, but the questions and compliments on it always give me more reasons to talk about my love. Plan alone time for when you visit. Especially when kids are in the mix. It is so important for them to have time, but strengthen your relationship with some special one-on-one time too. Don’t expect quick responses to texts and calls, and don’t be offended if you don’t get them at all. Give grace and have grace with yourself and your firefighter. Support each other even when you are tired, overworked, having a bad day…you may not know what the other has been through if you are solely focused on meeting your needs. Lost that lovin’ feeling? Bring up favorite moments, memories, sayings, songs, and other things that remind you of the butterflies you first felt with each other. Travel Mug for him. Travel Mug for her. The Dating Divas (one of our favorite partners!) always come up with the coolest ways to celebrate, connect, and show your feelings. 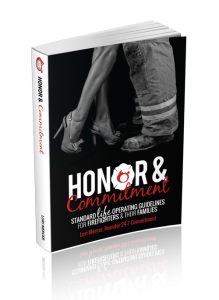 Now you can shorten the distance between you and your firefighter with these adorable printables.